We will create a similar app to scan these codes. To start Ionic 4 application we need to run below command as still, it is in beta phase. here we have added FormsModule in imports and also added it in imports array. In home.page.ts, define an object scannedData to carry scan result and scanCode() method. We have also defined BarcodeScannerOptions to define options like to show torch button, show button to flip camera front or back etc, you can check out more options here available to configure scanner format encoding. 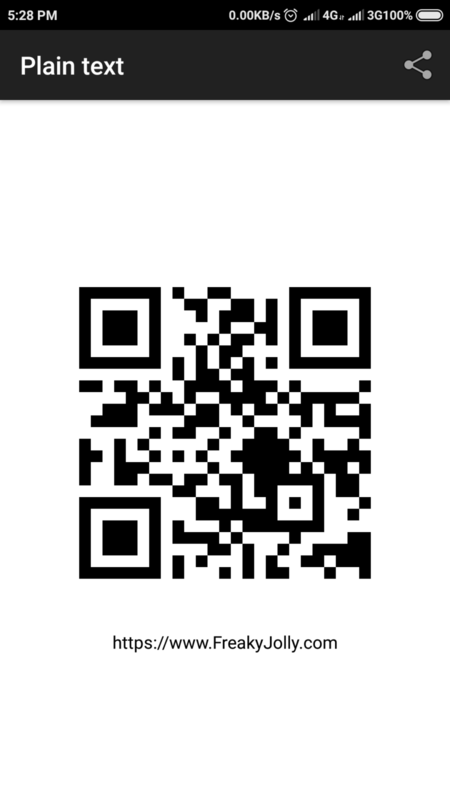 In home.page.html, add a button and show the result of scanned Barcode, having text information bar type. In this tutorial, we have created a sample app to scan Barcode and QR code using Cordova plugins in Ionic Native. Hi Jolly. I’m having a problem when I try to open the camera to read the QR code that every time I press the button it doesn’t do anything. Please check Github source link updated in the post. Hello Jolly, I’ve try this project then show the problem about ‘Cannot find module ‘node-sass’ ‘ with npm v 6.8.0. How can I fix this? Hi Karol, this is the expected behavior to scan and return a response in the JSON object. Can you explain your problem a bit more?